For some people, December is not exactly a joyride. 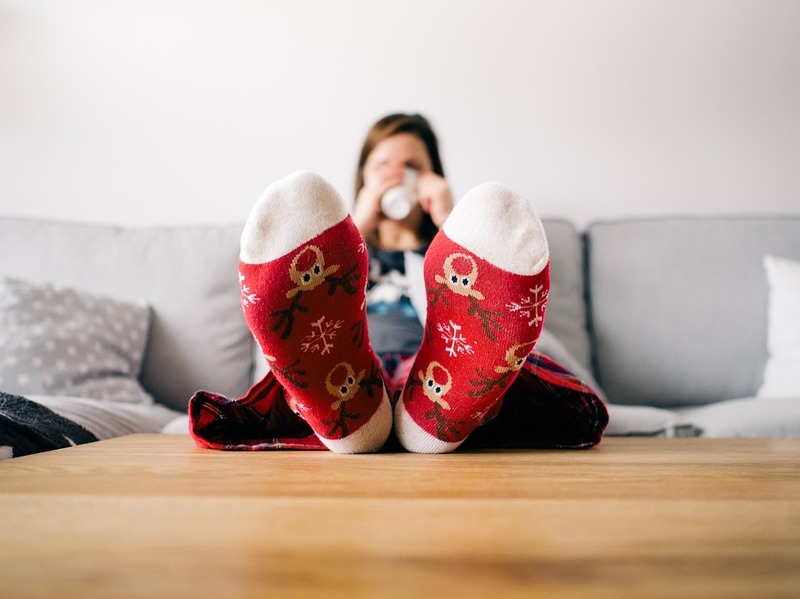 The long list of social engagements we need to attend, the pressure on our finances, the shopping frenzy and the holiday crowd we have to tackle at the malls, and, most of all, the cold weather, can send our stress levels off the charts. These things can also bring about anxiety and depression. However, for pot users, it is easy to get through the holiday craze and the holiday blues. This is because cannabis has been proven to positively affect our mood and reduce stress, anxiety, and depression. Is there a scientific explanation to this? According to a Health Canada report the cannabinoids tetrahydrocannabinol (THC) and cannabidiol (CBD) can have positive effects on people suffering from stress, anxiety, and depression. The report noted that evidence from clinical and pre-clinical studies suggest that THC can affect mood, with low doses of the compound having anxiolytic and mood-elevating effects and high doses having anxiogenic and mood-lowering effects. Moreover, the report pointed out that there is evidence from pre-clinical studies suggesting that CBD brings anxiolytic effects in different animal models of anxiety. There is also limited evidence from clinical studies demonstrating that CBD may have anxiolytic benefits in an experimental model of social anxiety. The Growth Op has gathered recommendations from cannabis industry professionals on the selections you can try to drive the holiday blues away. Industry experts and professionals like Alexzander Samuelsson (lead chemist at Nextleaf Solutions), Jamie Shaw (partner at Groundwork Consulting), Corey Herscu (founder and CEO of RNMKR), Abi Roach (owner of HotBox Cafe), Lisa Campbell (CEO of Lifford Cannabis Solutions), and Heidi Fortes (founder of Accoutrements) shared what works for them and their favorite strains for the season. Find a strain with a higher CBD to THC ratio. An example of this strain is Skunk Haze or Dance Hall. When facing holiday stress, take a few moments, close your eyes, breathe deeply, and clear your mind before consuming a high-THC strain. Remember that a high dose of THC may aggravate anxiety instead of calming it. Terpenes are the key. Anything with an aroma that is like lavender, pepper, or berry could work well for those who are suffering from anxiety. Strains like Purple Kush may have a relaxing effect. There are some strains that can make you sleepy, and there are also strains that won’t make you feel sleepy but still reduce anxiety. Indica-dominant strains tend to give you increased mental and muscle relaxation. Sativa-dominant strains tend to increase focus. They can be reliable, solid, and uplifting choices. Try these strains to uplift your mood: Sweet Sativa (a sativa-dominant uplifting, fruity strain), Ultra Sour (indica-dominant strain with strong THC potency), Galiano (sativa-dominant indoor strain with a strong THC potency and with earthy mocha notes and subtle sweetness), and Jean-guy (hybrid strain with a strong THC potency and with woodsy and citrusy aroma). If you don’t like getting stoned in public, opt for tea made from loose hemp leaves, like CBD hemp tea. Teas offer you a discreet option to consume. Are Brits really going to be banned from cannabis coffee shops in Amsterdam after Brexit? Lastly, always remember that different strains affect different people differently. This means that individual experience may differ. So when it comes to cannabis strains, nothing is really set in stone. You have to listen to your body and take note of how you are responding to different strains. And oh, these recommendations should not be taken as medical advice!